Vihang Errunza estimates that emerging markets - particularly the "BRIC" countries (Brazil, Russia, India, China) - will account for close to 50 per cent of the economy within the next 25 years. When The Economist declared last year that no serious investor can afford to ignore emerging markets (EMs), Professor Vihang Errunza bit his tongue. 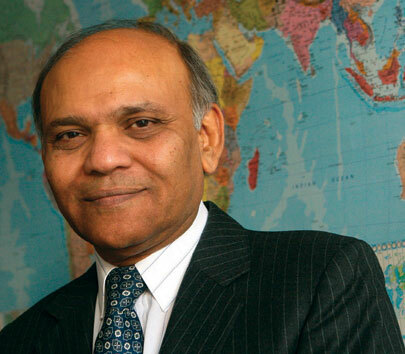 For more than 30 years, Errunza has been preaching about the opportunities afforded by developing world economies. In fact, his 1974 doctoral thesis was among the first to broach the idea that perhaps investing in countries like China and India wasn’t so crazy after all. But while Errunza is credited with helping kick-start the trend toward EMs, he hasn’t rested on his laurels. He recently completed a major research project that furthers his 1985 study on international asset management, which established a pricing model for emerging market securities. The 1985 study, which has since become required reading in many PhD programs, established empirically what has been one of the long-running themes of Errunza’s research: although EMs can be volatile over the short term, they offer significant returns to patient investors. Errunza’s new project doesn’t only take into account the traditional barriers faced by EM investors, but also seeks to explain the risk posed by fluctuating exchange rates. The authority Errunza enjoys on the topic comes from having been able to provide the financial community with reliable statistics and models for understanding the potential of emerging market economies. In the early 1980s, for example, he played a lead role in developing the World Bank’s first EM database. The database has since been sold to Standard and Poor’s, and is an integral tool for fund managers. By the 1990s, country funds and American depository receipts (ADRs) had become popular, as investors looked to diversify their portfolios with offerings from abroad. Globalization was kicking into high gear, and the dapper management professor from Mumbai had played a quiet but important role in opening up the world’s markets. “A lot of people that never used to invest in the market have since become stock market investors,” he says from his corner office in the Bronfman Building. Vihang Errunza is the Bank of Montreal Chair in Finance and Banking, and Associate Dean for Research and International Relations in the Desautels Faculty of Management.